‘How did you go bankrupt?' Bill asked. Nothing is more demoralising than running into financial difficulties. Suddenly all your energies are focussed on survival rather than growing the business. The fun goes out of the organisation, rumours of retrenchment flourish and if management aren’t careful, the rumours can become self-fulfilling. Since the “new” Companies Act came into force, there has been a change of emphasis. The “old” Act considered the cornerstone of sustainability to be “capital adequacy” – acceptability amounted to your equity being positive (share capital plus retained profits). Globalisation and technology have speeded up business cycles and have shifted modern thinking to liquidity and solvency as determinates of a company’s viability. The new Companies Act adopted this philosophy. What are liquidity and solvency? Liquidity measures the organisation’s ability to meet its short term liabilities over the next twelve months i.e. paying all creditors and any debt that is due in that period. Solvency measures whether an organisation’s assets are greater than its liabilities over the next twelve months. If your liabilities exceed your assets then you usually have taken on too much debt or you are trading at a loss. 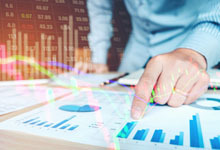 There are ratios that you can use to determine liquidity and solvency, but probably the best approach is a detailed cash flow that looks to at least the next twelve months - but usually for longer periods depending on how much confidence you place on the reasonable accuracy of the cash flows. Part of the cash flow process is to consider all known risks and to measure the potential impact they will have on cash flow if the risks materialise. In this way you can plan for any contingencies and how you will respond to them. You can, for example, keep cash reserves to cover potential risks occurring. Many best practice businesses do cash flows as part of their monthly financial procedures. If the cash flows or ratios show the business is getting into cash difficulties, then you have time to react. This time is crucial as it is the difference between controlling the process or being controlled by it. Remember that directors risk personal liability if they could have foreseen financial losses but fail to initiate business rescue proceedings or declare bankruptcy. Keep yourself informed and ensure that you are checking that liquidity and solvency tests are being performed. Ask your accountant for advice at the first sign of trouble! 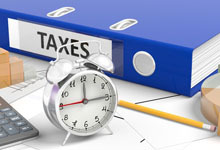 A recent World Bank and Price Waterhouse Coopers survey, amongst other things, ranks companies in 190 countries in terms of time taken to prepare and file tax returns. 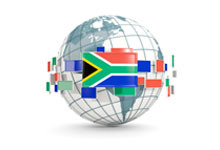 South Africa performs above average against its global peers. We improved by one place from 47th last year to 46th. The survey has been going since 2004 and one of its main findings is how technology has improved the time taken for companies to complete all tax returns - this includes all taxes such as Income Tax, Workman’s Compensation, VAT, PAYE etc. 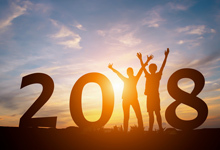 In 2016, the average time taken improved by 5 hours to 240 hours – South Africa takes 210 hours. In another measurement on the average number of payments companies make per year, the average is 24 payments whereas in South Africa the number is 14. In terms of other measurements such as time taken for a VAT refund, we perform close to the average. It takes 26.5 weeks to get a VAT refund locally against 27.8 weeks globally. In terms of tax audits we lag behind the rest of the world. One recommendation by the survey is that countries follow the example set by Mexico which analyses data in real time, making it faster to complete the audit process. One warning from the survey is that new taxes are being globally introduced to widen the collection net and these could increase the time taken to file returns. In South Africa where carbon and sugar taxes will bring more complexity and administration time to business, one hopes that the final legislation will be simplified as much as possible. Still for all the frustrations we experience, South Africa appears to not be doing too badly. You come home from work one day and see your next door neighbour off-loading an expensive flat-screen T.V. He tells you he has become wealthy from his Bitcoin holdings. You gotta buy some he tells you the price is going crazy. Rational thought is gone – you rush inside and Google Bitcoin. When you discover that Bitcoin is the most Googled word in the world, surpassing even the Kardashians, you are convinced you are on the road to riches. Since November 2016 the value of a Bitcoin has risen from $800 to over $15,000 at time of writing. Bitcoin now trades on the Chicago Board Options Exchange and the Chicago Mercantile Exchange. These are futures markets and have contributed to the fast rising price of Bitcoin. As Bitcoin has come to get more market acceptance, so interest in this cryptocurrency has rapidly grown. One of the reasons why the value has grown so quickly is there can only be twenty one million Bitcoins in existence. As the price goes up, the investors hold onto them, anticipating further price rises. This supply shortage further drives up the price. At some stage a herd mentality takes over, fuelled by greed and the price goes through the roof. In this stampede no one stops to think – they have to jump in before the price rises even further. With all bubbles, at some point the price defies belief. Once this happens the losses mount as fast as the price once rose until the asset becomes worthless. But is it a bubble or not? The hard fact is that no one knows for sure. If it is a bubble and you invest now you could lose a fortune. If it isn’t and you don’t invest, you could lose out on a potential fortune. “Hindsight” of course “is 20/20” but by then it’s too late to do anything about it, so the best advice at this stage is this - be guided not by the herd mentality we talked about earlier but by your own research. If you do invest, the only prudent thing to do is to use money you can afford to lose. All we can say for sure is Bitcoin is starting to exhibit all the characteristics of a bubble and that at some stage there is the risk the price will collapse. So perhaps if you feel the urge to buy Bitcoins, resist the urge to Google “how to buy Bitcoins” and instead take a deep breath and go and watch the Kardashians! If you are still not convinced, consider what happened to Sir Isaac Newton, an intellectual giant and one of the fathers of modern science. He initially bought into the South Sea Company and as prices rapidly rose, he sensed a bubble and sold out, making a very good profit. But prices continued to rise at a dizzying pace and he reinvested just in time to witness the collapse of the company. Newton was ruined by the South Sea Bubble. 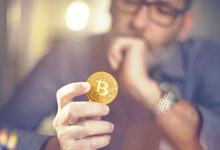 The current situation with Bitcoin does not invalidate the concept of a digital currency which has the potential to do what banks do – be a credible third party between a buyer and seller and guarantee payment when the conditions of the contract are met. The big difference is that cryptocurrency uses blockchain technology and is much cheaper. It’s here to stay. Tax increases are on the way and Treasury has signalled that a sugar tax (more correctly, a “Health Promotion Levy”) will be levied from 1 April 2018. As with all new taxes, emotions have been running high. Much of the debate centres on whether the tax is simply a revenue-generating exercise or whether it will bring medium to long term health benefits to South Africa. Recent tax increases have come mainly from an increase in the personal income tax rate and the fuel levy. Spreading the tax net wider will help Treasury to raise additional revenue. The tax will be levied at 2.1 cents per gram of sugar content that exceeds 4 grams per 100 ml. The passing of the legislation follows exhaustive negotiations, and public hearings which included NEDLAC (National Economic Development and Labour Council). How will prices rise and what does the sugar industry say? The proposed tax is estimated to add up to 11% to the cost of sweetened soft drinks such as Coca-Cola. This is in contrast to the initial proposal which was 20%, plus items such as 100% pure fruit juice have now been excluded. The sugar industry, which opposed the levy, has been under pressure since the turn of the century and 20,000 jobs have been lost, with the industry saying now that another 3,129 jobs will be under immediate threat and 20,000 more in 5 to 7 years. There have also been predictions that companies like Coca-Cola will cut investment leading to further job cuts. What does the health industry say? 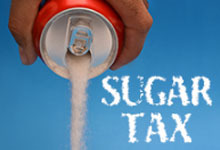 A sugar tax is one of the cornerstones of the Department of Health’s determination to reduce non-communicable diseases (NCDs) such as obesity, diabetes and heart disease. The Department sees a clear link between NCDs and sugar consumption, although this supposed correlation is strongly disputed by opponents of the levy. NCDs are the leading cause of death in low to middle income countries. South Africa has the highest incidence of obesity in Africa. We are among the top ten consumers of soft drinks in the world. Diabetes alone killed 25,000 people in 2015, whilst diabetes, strokes, heart diseases and other obesity related conditions cause 55% of deaths in South Africa. India, Portugal, Saudi Arabia and Thailand have introduced taxes to combat NCDs in 2017. More than 30 countries have sugar tax legislation in progress. Key research in these countries is that there were minimal job losses (Mexico) and it reduced consumption of sugar drinks by 10%. Treasury forecasts an additional R1bn to R1.5bn in annual revenue from the levy. Licensing and registration of manufacturers of sugary beverages will take place from February 2018. On balance the consensus seems to be that a sugar-sweetened beverages tax will bring in revenue to the fiscus (potentially limiting income tax increases) and is likely to have health benefits. Parliament is aware of potential retrenchments and will be monitoring the impact of the tax on the sugar industry. Provisional taxpayers who use eFiling need to submit their 2017 Income Tax Return on or before 31 January 2018. Power of Attorney if this is attended to by a tax practitioner or representative. This will enable SARS to verify the changes were not fraudulent.